Singapore continues to improve upon itself. The laser light show at Marina Bay Sands has been one of my favorite evening events to watch and it has now been taken to a much higher level with the revamped light and water fountain show in front of the Marina Bay Sands Mall. 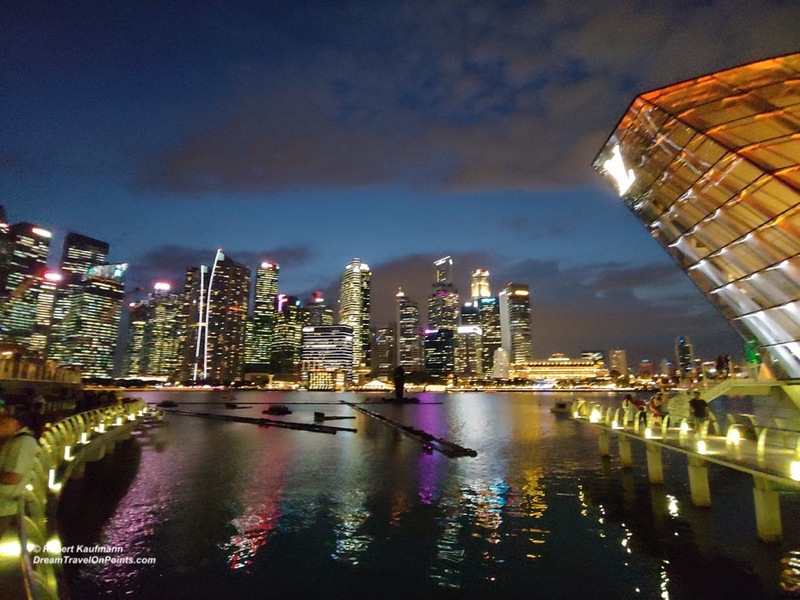 You get a fantastic view of the Singapore Skyline by night and the well choreographed show of water fountains, lights and music is very impressive and should be high on your list of things to see in Singapore. 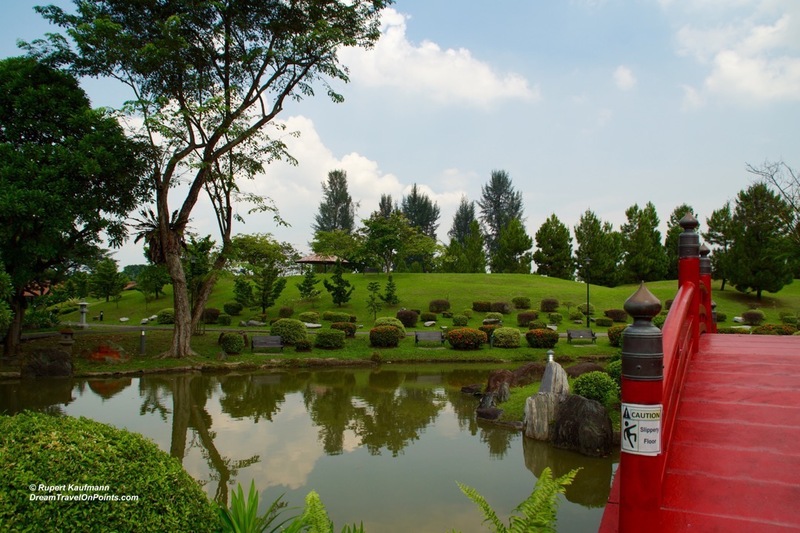 Check out my Destination Guide Singapore for more things to see and do! 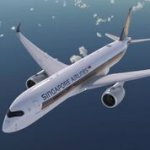 Join Singapore Airline’s KrisFlyer rewards program and earn 500 sign-up bonus points! 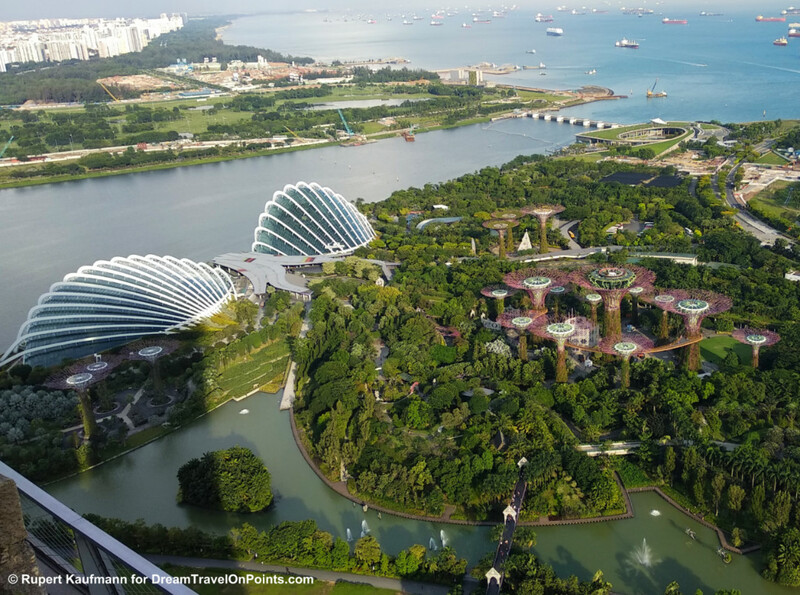 The Gardens by the Bay are one of my favorite places to visit in Singapore. With the two stunning domes, creating unique environments, the lush gardens and the unique SuperTrees, it offers natural beauty and a feat of engineering at the same time. This shot is taking from the (very nice) Lavo Restaurant at the Marina Bay Sands Hotel. Check out my Singapore Guide to start planning your own trip to Singapore!